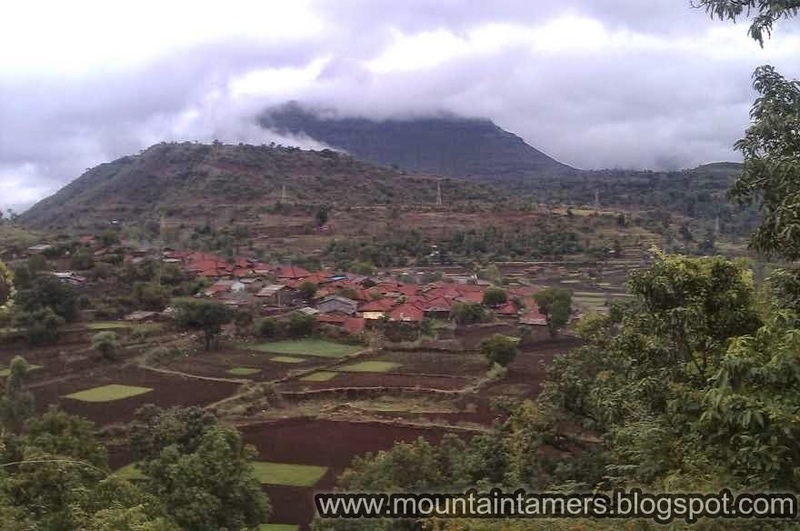 Kalsubai (कळसुबाई) is the highest peak in Maharashtra with 5400 ft. or 1650 mtr. 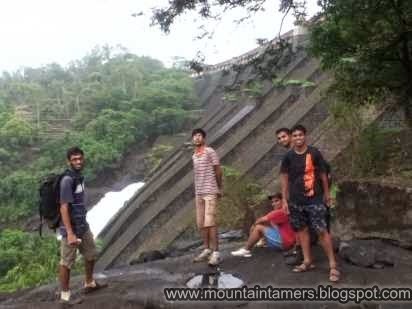 Trek to Kalsubai & quick visit to Bhandardara, IN from Deovrat Phal on Vimeo. The most awaited and the most procrastinated trek of all times. 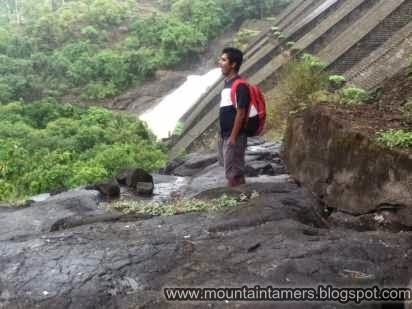 We have been planning to climb this mountain since our first day in college but was left out due to some unknown reason. On the 12th July, close to midnight, heavy downpour welcomed the Mahanagri Express on platform number 18 at CST station. Amidst the crowd, we managed to push ourselves in and found some empty seats in the general compartment. The downpour continued till Kasara, and seemed to plummet as the train approached Igatpuri station. We had fresh kanda bhajji (कांदा भजी) and tea at the railway canteen and proceeded to the bus stand. Igatpuri bus stand is 10 minutes of leisure-walk from the station. 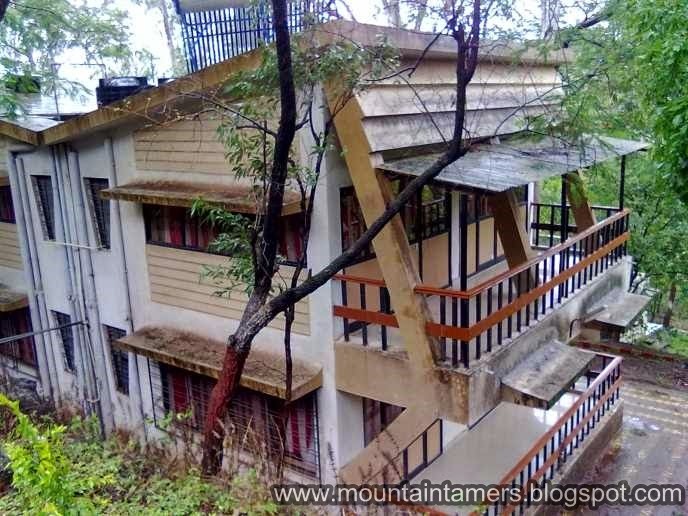 The sound of the motors revving broke the 5.00 AM silence, and a Bhandardara bound ST came out of the yard. At Bari (6.30 AM) we had another good strong cuppa and began the climb. 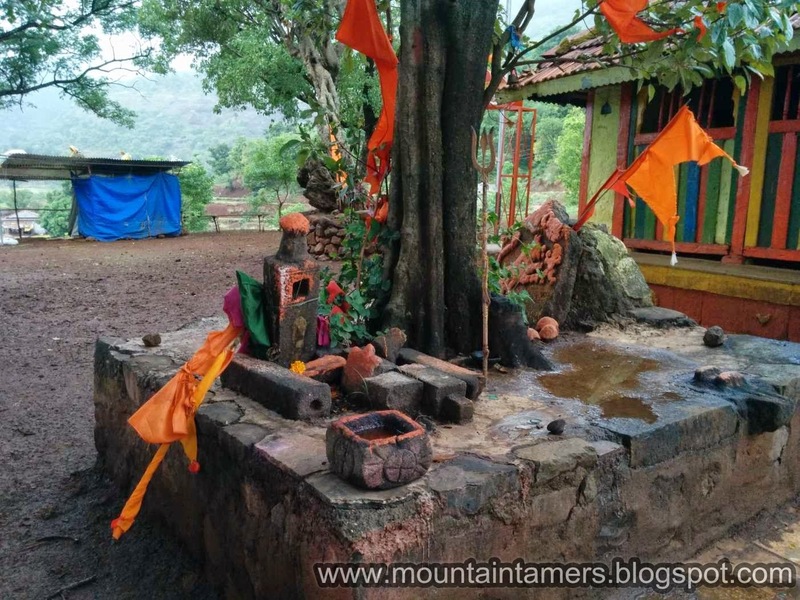 Kalsubai bus timings, travel directions and more: There is a direct bus from Kasara station in the morning ~7.10 AM connecting the Kasara local train. Destination is Bhandardara and goes via Igatpuri-Ghoti.First bus in the morning is from Igatpuri ST bus depot 5 AM. The trail starts with the small tar road entering village and then turning left out into the open fields again. With every step, the trail climbs-up. Multiple ladders and metal stairways are fitted all along the way-up, making the climb easier. With enough fun and breaks, we reached the top at 10 AM. Strong winds along with the rains had restricted the visibility of the surrounding mountains. 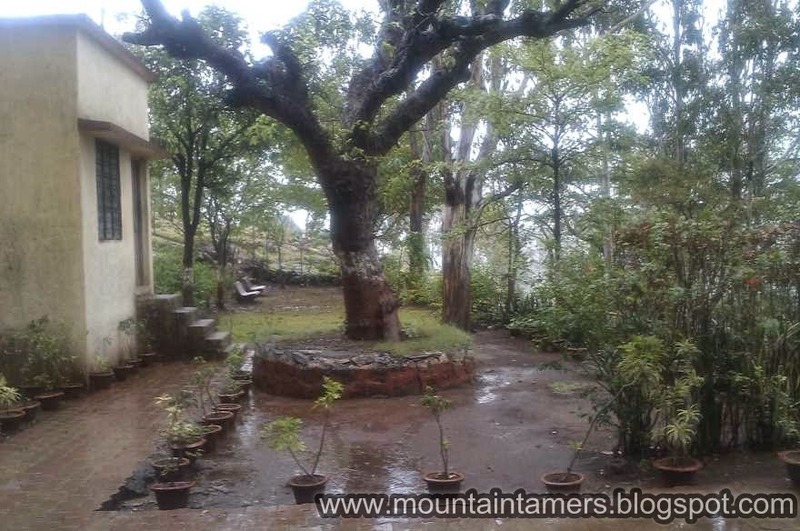 The Kalsubai top is best known for viewing the mighty Alang-Madan-Kulang forts, the most difficult forts in Sahyadris. 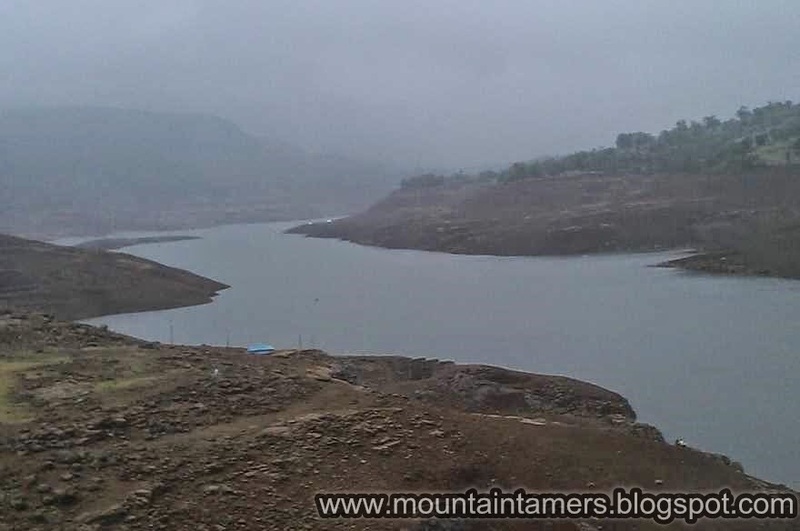 Although the village at the base of Kalsubai had experienced a relatively lesser rainfall by this month, the rain clouds at the top of the mountain showed no signs of abating. We started to climb down by 11.00 AM. It was taking a bit longer as the Jamun and Bush-plum trees were slowing us down. The route was filled loads of Jamun trees and we just couldn't resist passing by them without tasting the fruit. 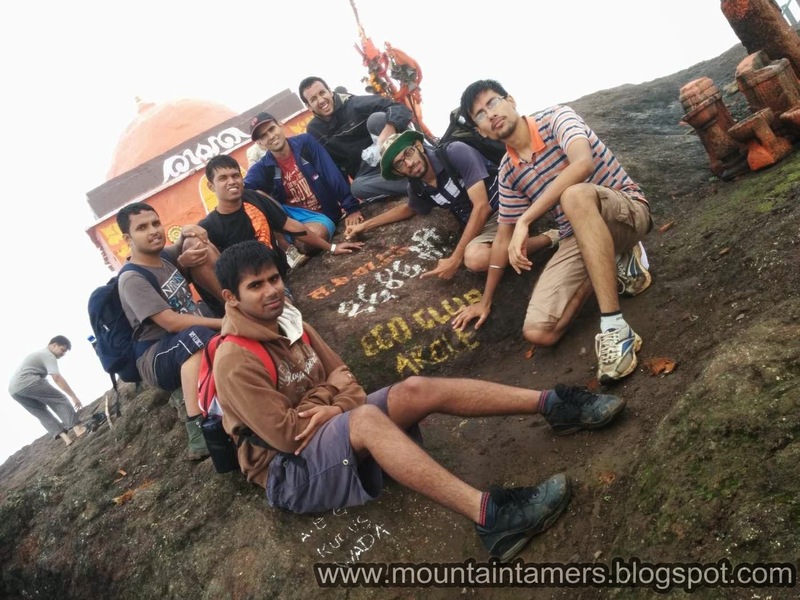 So the clock ticked 1.30 PM when we were at the base of Kalsubai. 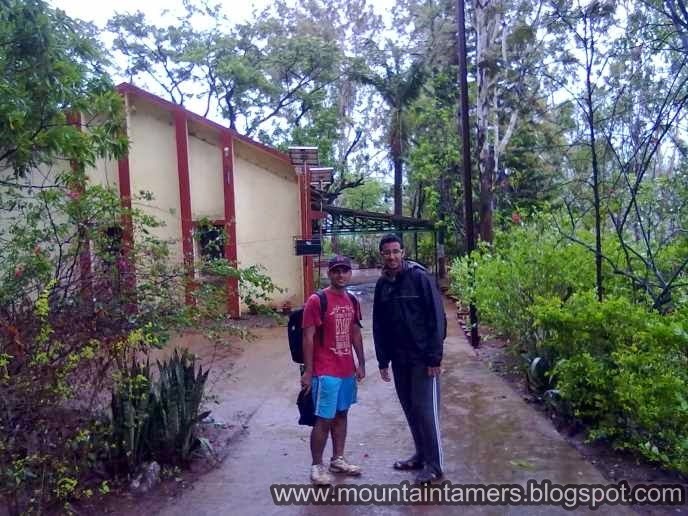 The air was ripe with the pleasant showers and the sky had started clearing as we waited for our transport to Bhandardara. We almost spent an hour, waiting at the bus stop, chatting with a school kid and dozing off in-between. Our ride to Bhandardara arrived at 2.45 PM. The stop name is Shendi village. The bus conductor told us buy the tickets for Shendi village and not Bhandardara. We were lucky to get the 4.30 PM, Kasara bound bus, directly from Bhandardara (Shendi). From Kasara, as usual, local train back to Dadar ! 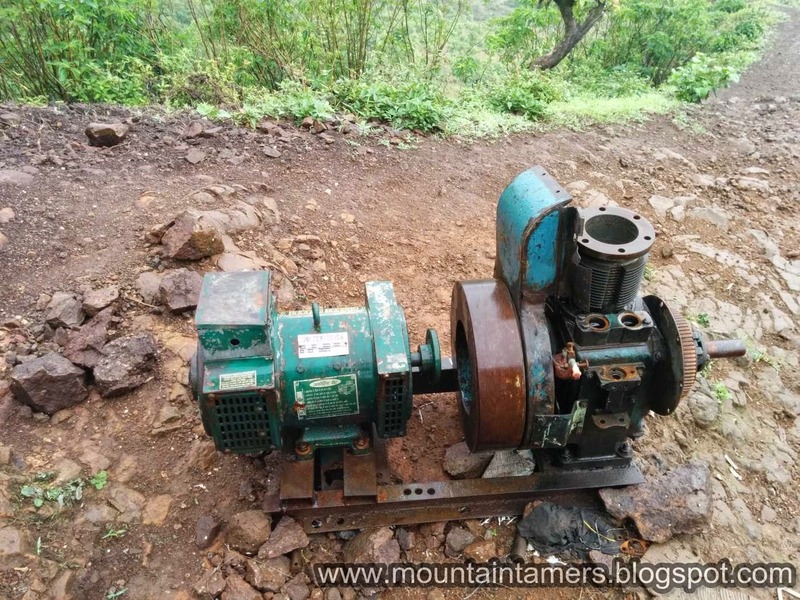 Note: The forest covered route and several steep iron ladders were the only attraction of Kalsubai. I remember my sister climbing it when she was 7 yrs old. 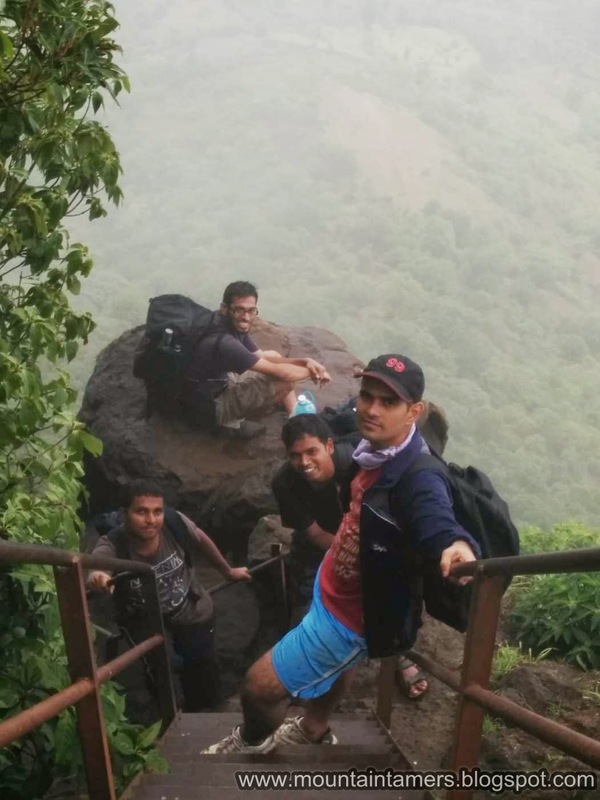 This trek officially marked the end of my Semester 8 as well as my 4-year journey of Electronics Engineering, together with Aaditya Gurav, Abhash Kumar, Manoj Patil and Tarun Kaushik.